I Hate Models / Vittorio Di Mango - Nigredo Edition. Vinyl 12. Bleep. 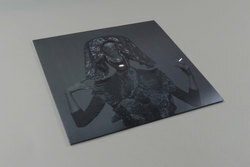 Khemia Records bring together two promising names for the latest in their line of limited-edition EPs, Nigredo Edition. I Hate Models' contribution is 'Cyanure Dance', ten minutes of hammering acid-tinged techno topped with ghostly vocals, weaving through moments of discomfort and euphoria. Vittorio Di Mango's EBM banger 'Epilessia' on the flip is an equally relentless drive full of post-industrial snares and notes of italo.